Then I’d fire him. And when he started looking at me like “big deal, crazy hypochondriac,” I’d throw him out the window to watch him land on his new Porsche. Perhaps, the soft-top would have been a better choice after all, Doc, I’d yell. Now if only the Donald threw contestants out of the window after he fired them. That’s a show I’d watch, but only if the Donald fired himself first. 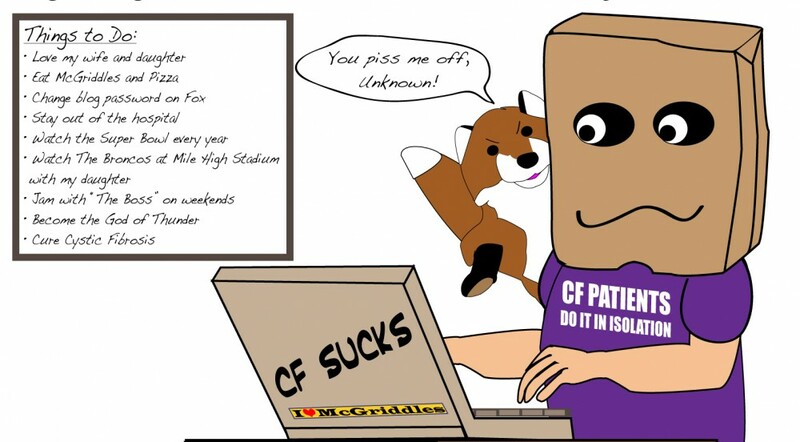 This entry was posted in cystic fibrosis, Fun & Humor, Health care and tagged Feeling sick, Fun, Health care, Rants by unknowncystic. Bookmark the permalink. Wow, that suggestion might get me arrested, though that would make for interesting headlines and legal case. Not to mention quite an X-ray. Just remember that those pompous windbags work for you. I hate when doctor’s egos are so big they need their own zip code. Sometimes having a good soul is a hindrance. It would be so fulfilling to have moments when we’d ignore our first impulse to be polite and give the doc a swirly in the public restroom until they said “Uncle”! I hate it when I use the wrong “there”, it’s supposed to be “their”! AAAAAAAArrrrrrrGGGGHHHHH! Don’t you have more important things to worry about than a common typo? Oh, man. Since you took the time to write about it, I fixed it for you in the original comment. I must say, however, that I was tempted to create half a dozen other typos in your comment in return. But I didn’t. I’m feeling nice tonight, generous. He didn’t get that memo about working for me. I wish he had. Would you send it to him again, please? How much would it cost me to have you give him a “swirly”? I would appreciate it if you did that for me. I’ll take video and we’ll post it on the Internet. Or, perhaps we could get one of Moganko’s mafia cousins to do it. Yeah, and they really don’t charge much. That’s the ticket.